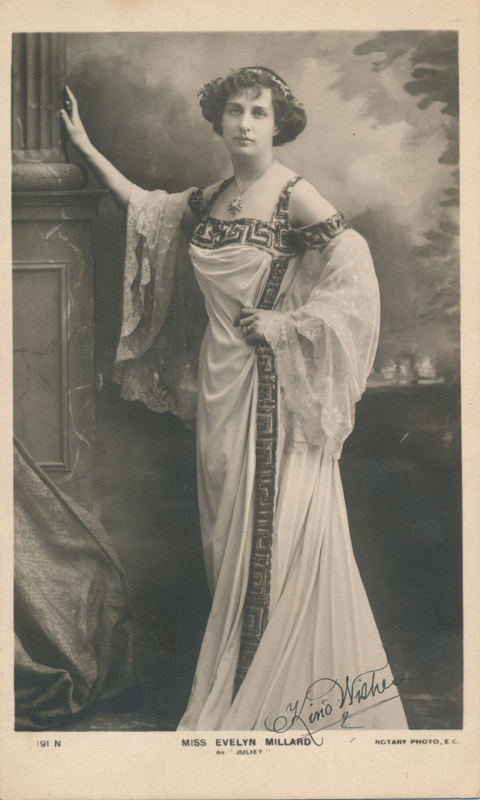 Evelyn Millard, a popular stage “beauty,” made her first appearance in 1891 as a walk-on at the Haymarket Theatre. Her first major parts came when she joined Sarah Thorne at the Theatre Royal in Margate; she played, among other roles, Juliet and then Hero in Much Ado About Nothing. 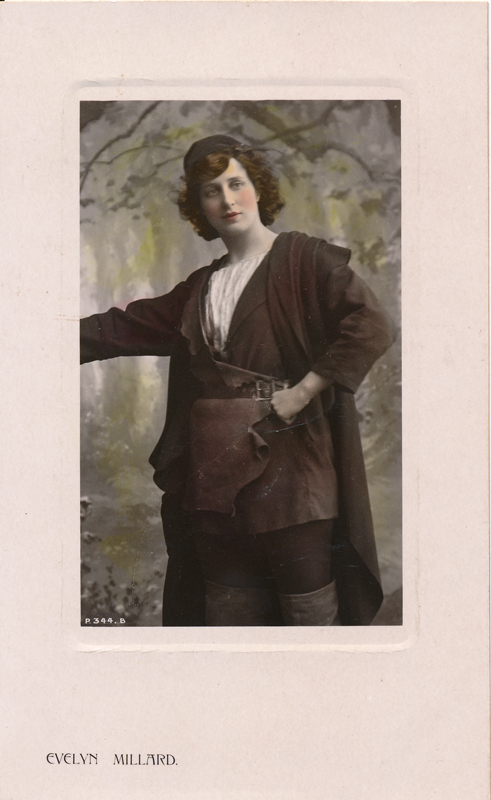 When she joined the company of Sir Beerbohm Tree in 1897 she was given the role of Portia in Julius Caesar. 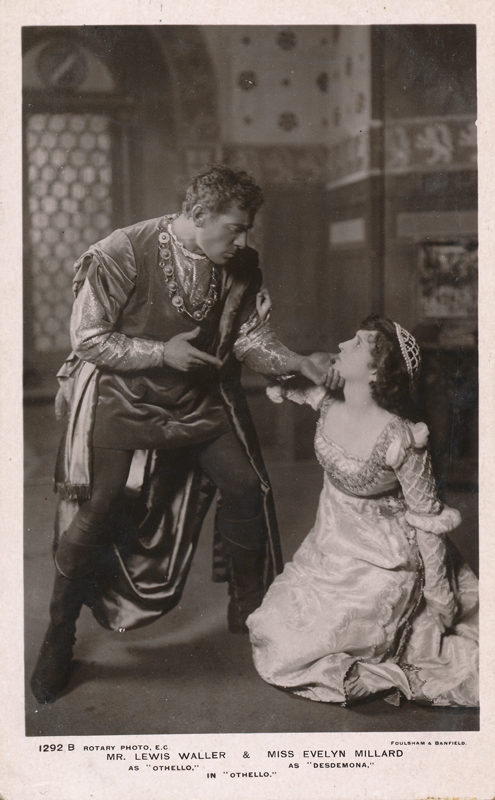 Between 1903 and 1916, she played in several more Shakespeare productions: Jessica in The Merchant of Venice (1903), Juliet in 1905, and Desdemona in Lewis Waller‘s production of Othello in 1906. 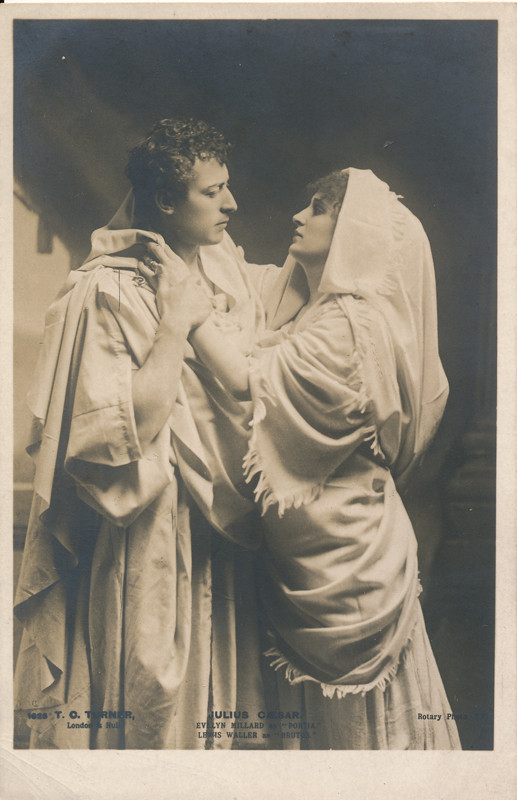 After forming her own company in 1908 she played Ophelia in Hamlet (1910) and Olivia in Twelfth Night in 1912 with Harley Granville Barker at the Savoy Theatre. Her last recorded Shakespeare role was as Calpurnia in Julius Caesar during the Shakespeare Tercentenary Celebration in 1916. 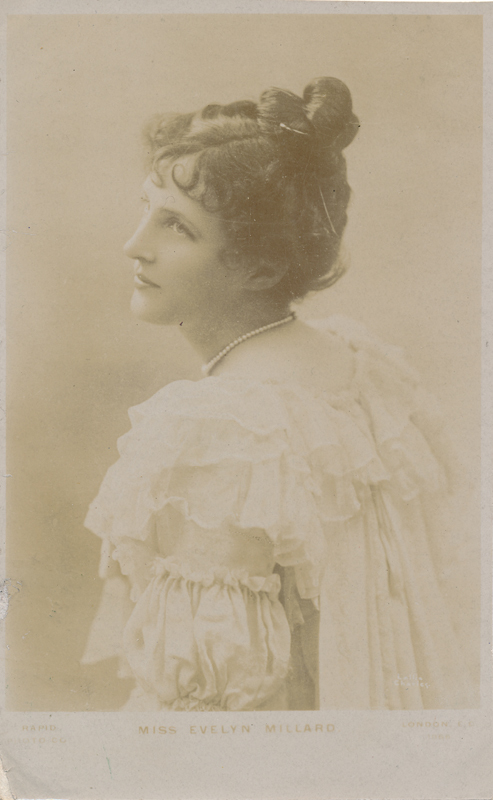 Notably, Millard is known for creating the role of Cecily Cardew in the 1895 premiere of Oscar Wilde’s The Importance of Being Earnest. A year later, she performed in a Royal Command Performance for Queen Victoria. 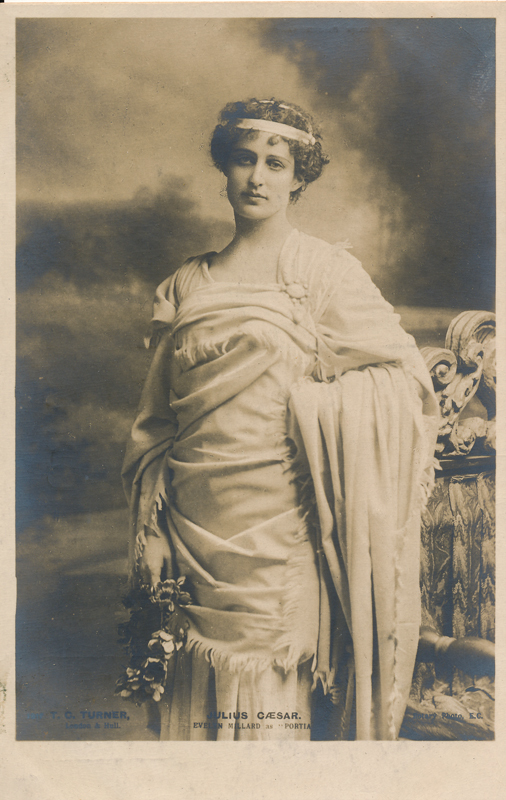 After retiring from the stage, she died in Kensington, at her home, in 1941 at the age of seventy.